Styled with cohen pant terado and everly camisole . 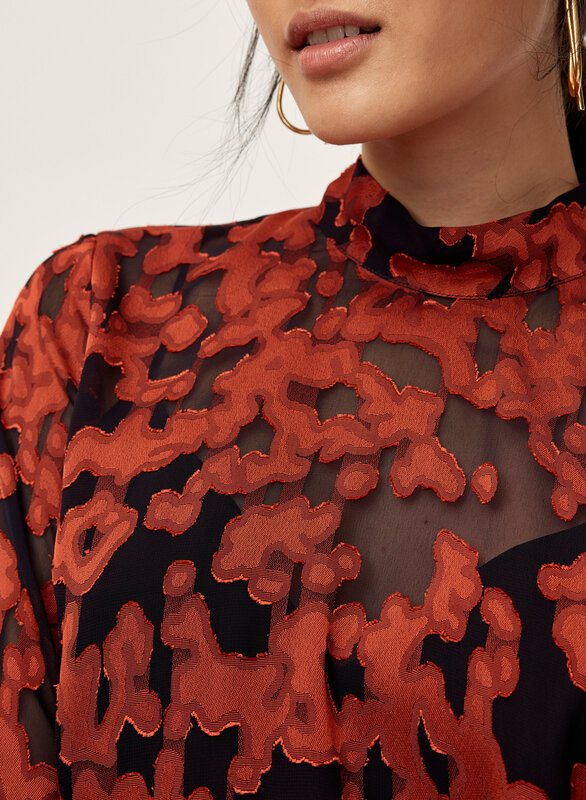 This mock neck is made with a beautiful jacquard and tailored in a classic, feminine shape. The fluid fabric has a beautiful drape, and understated button accents add a polished touch. This has to be my favourite blouse in my closet right now. I got so many people asking where I got this from. What I love is that the navy is so dark that it can easily pass as black. The one wrist is significantly tighter than the other. I measured thinking I was just imagining this discrepancy, however they are in fact different lengths by 1.5”. 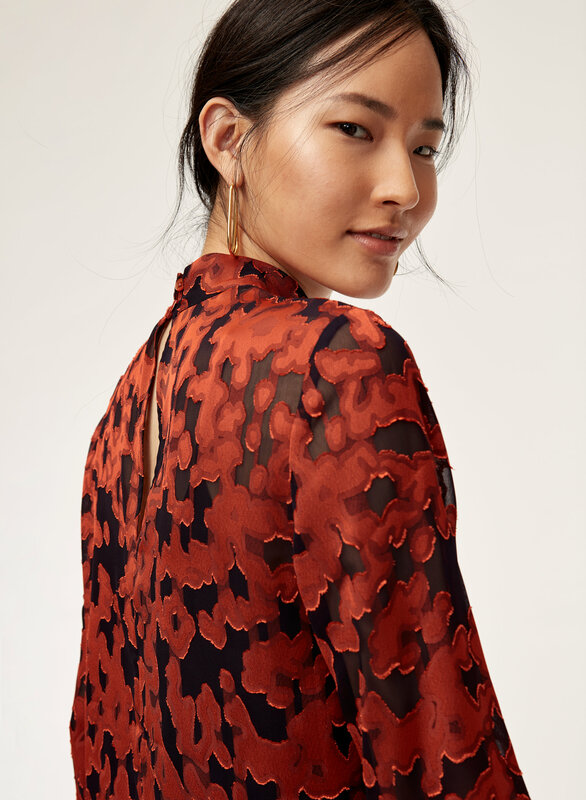 I adore Aritzia and am loyal to their garments but I am very disappointed by this. 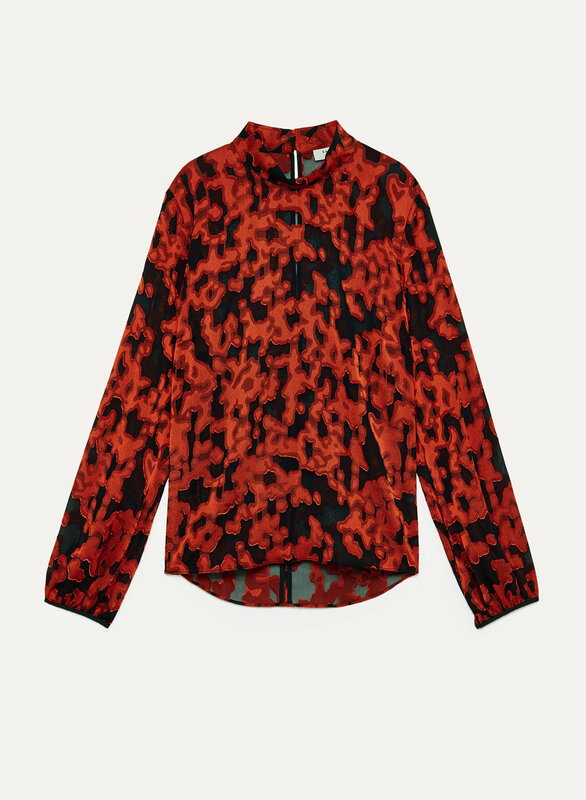 Now to wear this blouse, one wrist loses circulation and the other resides in circulatory bliss. Not impressed. This is a beautiful blouse with exquisite detailing! The orange is more of a burnished copper which is a little more classy in this case. The navy is sheer, but the top is not too revealing. I will wear with a cami. The fit is good: not too tight and not too loose. I will wear this with jeans and with wide-legged navy trousers. 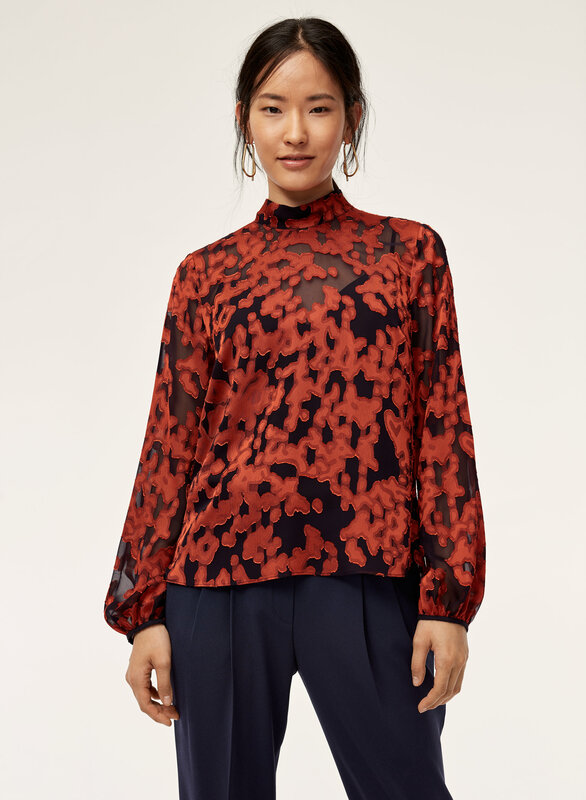 The pattern on this blouse is really, really pretty and incredibly vibrant in person. It's a great cut and is a great statement piece! I went with a S since that was all that was left, which is a size down for me. I would recommend ordering your normal size! I went off the spec’s given for the model, and it’s too small. Beautiful fabric print, too bad.